Many people will perhaps never have heard of Nettlefield Primary on Radnor Street, inner-east Belfast, but it is undoubtedly one of the most interesting schools in the city from an architectural point of view and is just one of a proud legacy of school buildings designed by Reginald Sherman Wilshere. Wilshere was born in Essex and came to Northern Ireland in 1926 to take up the position of architect to the Belfast Education Committee. In this capacity he designed no fewer than 26 schools prior to the outbreak of World War Two, many of which were highly innovative and stylistically spanned the neo-Georgian to the ultra-modern. Indeed, Larmour suggests that they were “the first modern schools to be built anywhere in Ireland”. Well-known examples of his work include Botanic Primary, Strandtown Primary and the McQuiston Memorial Primary, the latter now the School of Music on Donegall Pass. 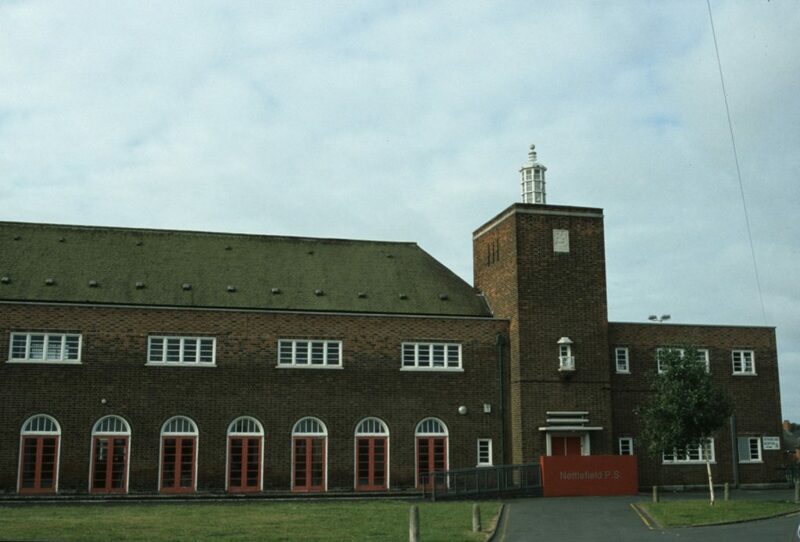 Wilshere was also responsible for the first school built in the city immediately after the war, at Sydenham, which was just as innovative as those that went before, utilising prefabricated aluminium units due to a shortage of building materials. Whilst many inner city areas have suffered from economic decline and comprehensive redevelopment, his schools at least still stand as important historic and social landmarks. Sadly, two are currently vacant, Mersey Street in east Belfast and St Comgall’s on Divis Street, both of which feature in the Built Heritage at Risk Northern Ireland Catalogue, Volume 8. For more information on other historic schools in the city read A selection of historic school buildings in Belfast. 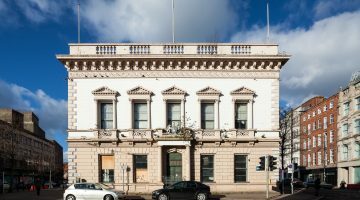 To learn some of the UAHS’s concerns on possible closure of historic school buildings due to falling roll numbers or rationalisation, download Last roll call – The future of historic school buildings in Northern Ireland.